Hedge Trimmer is the best friend of a gardener. The beautiful design and look of and landscaping can't be achieved without a reliable Hedge Trimmer. 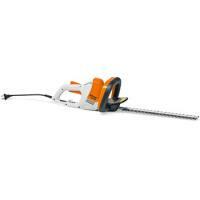 We are presenting superior quality Hedge Trimmers by Stiga (Italy) that are manufactured from quality components. 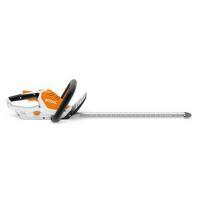 These Hedge Trimmers are widely acclaimed by the clients owing to its reliable performance. These Hedge Trimmers assure a hassle free performance due to its self sharpening carbon steel blade. Keeping the varied requirements of our clients in mind, we offer dual varieties of Hedge Trimmers that are Electric Hedge Trimmer and Petrol Hedge Trimmer. For the utmost customer satisfaction, we are flexible in delivering the product range at the place agreed by the customers and that too in the set time. Our product is obtainable in risk-free and industrial grade packing material that make sure the goods are protected from damage and are delivered to buyers in unharmed conditions.